It's taken me more than a year to get here. 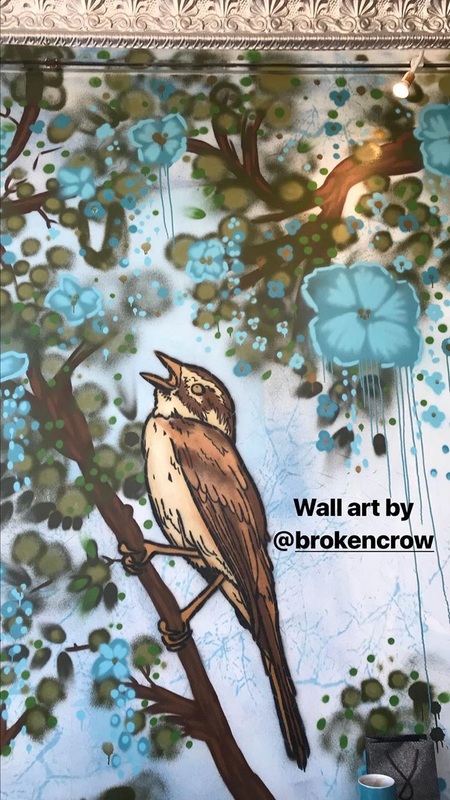 Not just to be posting here in my creative space, my blog Rang Decor but to reach this space in my heart to slow down and get back to storytelling through blogging. So, lets get the ball rolling with a feature on Sparrow Cafe. One sunny winter morning Heidi Van Heel, a longtime blogger friend and I met over a cup of chai in this quaint little cafe in South Minneapolis. The name itself conjures up images of chirpy little birds fluttering around. 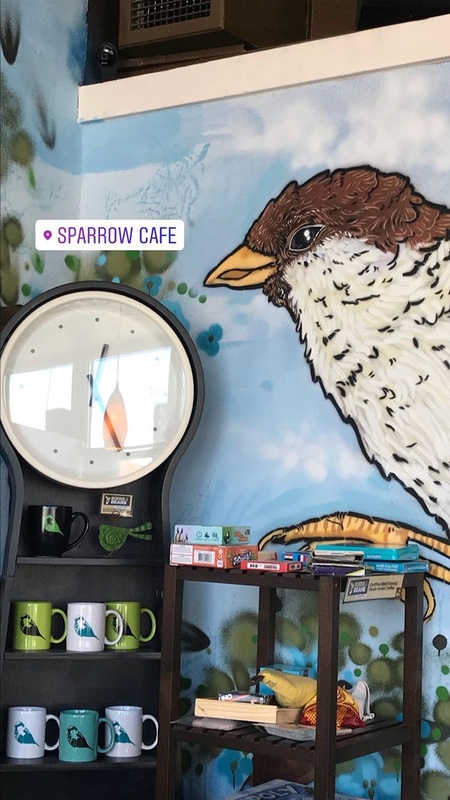 Aroma of freshly brewed coffee, delightful bird art and a smiling face welcomed me. 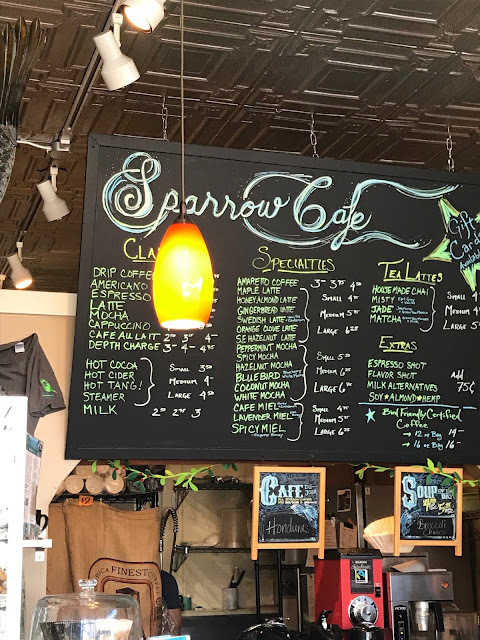 Sparrow Cafe serves fair-trade coffee and tea sourced sustainably by the owners Sheila & Jasper. They envisaged a beautiful space where people could enjoy local artisanal baked goods and great beverages. A great space to catch up with friends, work on your laptop with a cup of coffee or just sit and watch the world go by. 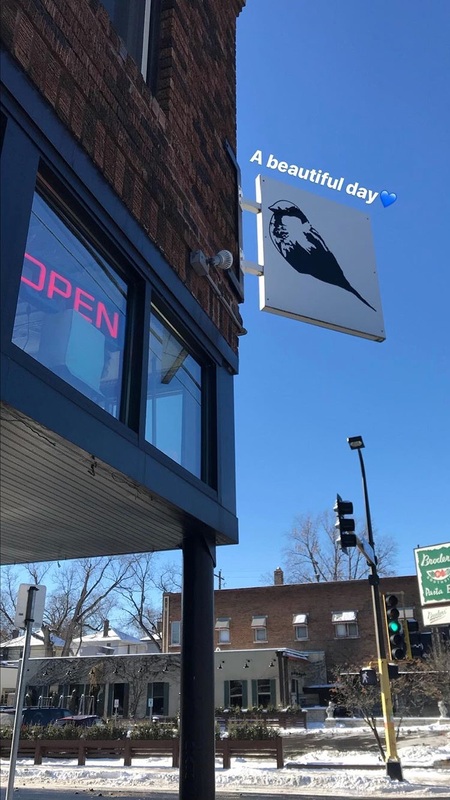 The vibe is artistic and that of a welcoming neighborhood cafe! 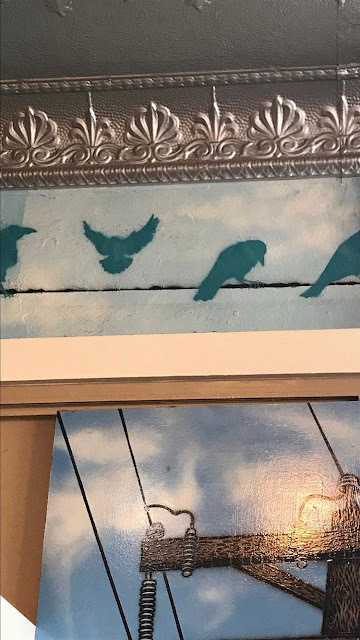 Loved the ceiling crown molding and the birds stenciled art! 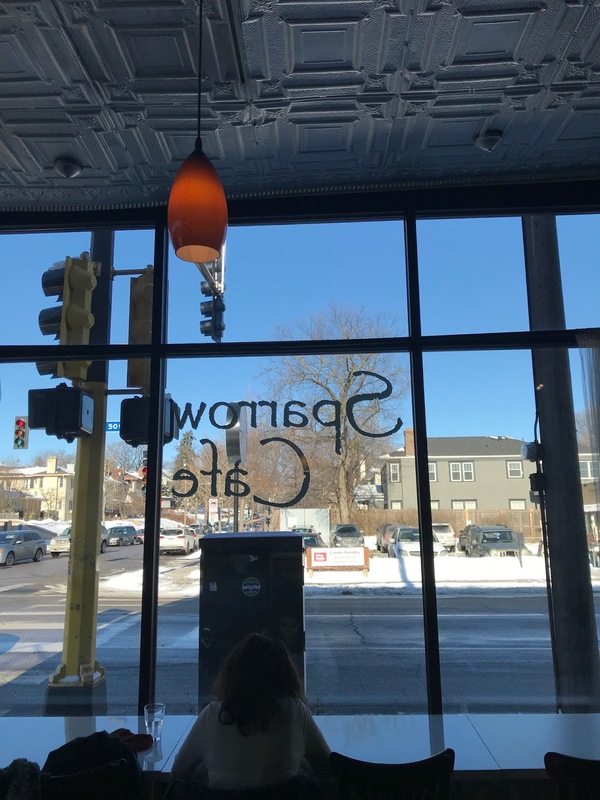 Hope you liked this feature on local Minneapolis cafe interiors.